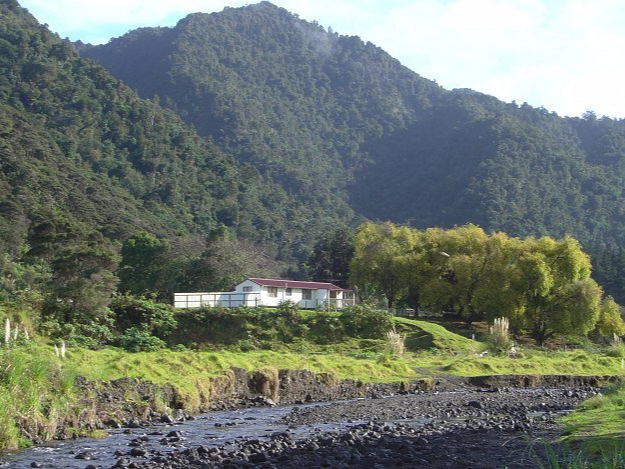 K Road Cottage is situated on our farm at the top of Kowhitikaru Road, just 5 kms from Panguru. Nestled at the foot of the Warawara Kauri Forest, it offers peaceful and comfortable accommodation in beautiful surroundings – definitely the place to unwind. The fully self-contained cottage sleeps three, though more could be catered for if necessary. Kitchen includes pantry, small bench top oven, microwave and fridge-freezer. Shower, toilet and laundry adjoin the main bedroom. 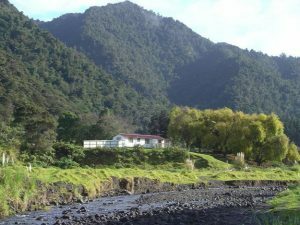 Relax on the deck overlooking the river, take a guided walk through the bush to a picturesque waterfall, explore the local surroundings including Te Karaka, Mitimiti, Rangi Point and Motuti, and marvel that such places still exist only a few hours’ drive from Auckland.